“In a weekly meet-up, four serial killers confess their sins, hoping for redemption. 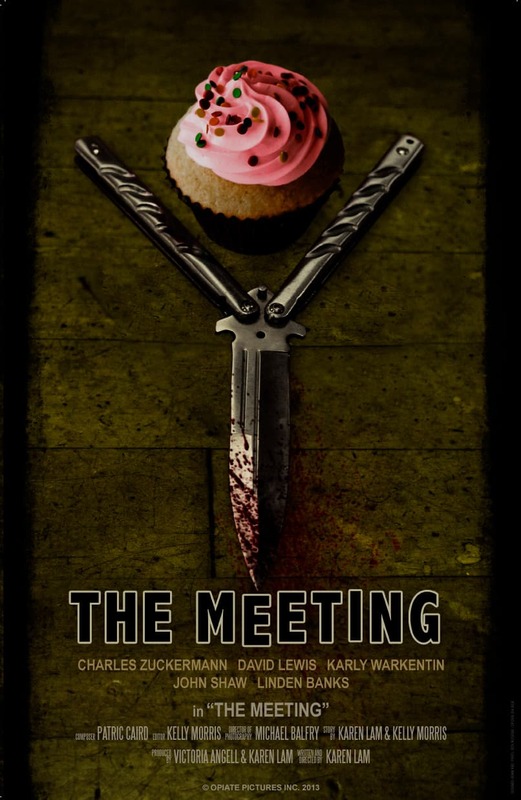 But all hell breaks loose when a newcomer decides to join…” For audiences wanting a slightly different twist on the female revenge fantasy, Karen Lam’s newest horror-comedy short film The Meeting (2013) will be showing at the Cannes Short Film Corner. A group of serial killers (played by David Lewis, John Shaw, Charles Zuckermann, and Linden Banks) meet in a regular support group to confess their sins, when Harriet (played by Karly Warkentin), a newcomer, arrives to upset the balance. Harriet tempts the killers, but then presents a secret all of her own.